“What we are”/“What is now”/“What is next”…for our customers. NAB is where vendors show what is new and Utah Scientific is no exception. However, one thing is definitely NOT NEW…The Utah Scientific award-winning support and the industry’s best 10-year hardware warranty! 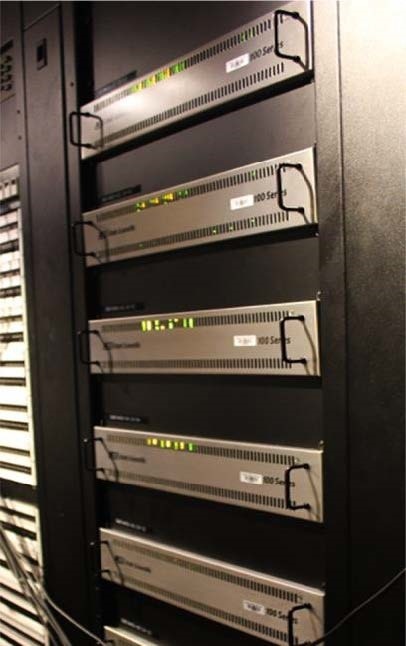 Want to move to an IP workflow but without a studio full of IP-based equipment? No problem. 12 SDI inputs become 12 SDI outputs AND 12 IP outputs (or vice versa). ST2110 and ST2022 available. Perfect for e-gaming, production houses, truck companies, anybody who needs to route 12G signals. It’s true that the best things can come in the smallest packages. 288×288 in 10 RU. What is next… Utah Scientific is moving to the E.D.G.E. Equally Distributed Growth Environment… stop by the booth and we’ll show you what this next-gen product can do and how it can take you confidently into the future. Designed in the U.S.A. Engineered in the U.S.A. Manufactured in the U.S.A.